It was reported that the Cranberries singer Dolores O'Riordan has died suddenly aged 46. Her friends have revealed that she was 'dreadfully depressed' in the weeks before her death. Her publicist did not comment on how she died, other than it say it was 'sudden' and that her family are 'devastated'. Formed in Limerick, Ireland, The Cranberries became international stars in the 1990s with hits including Zombie and Linger. The band split up in 2003 but reunited several years later, releasing the acoustic album Something Else in 2017. Last year Dolores O'Riordan revealed that she had been diagnosed with bipolar disorder in 2015, having battled with depression during much of her career. She said: 'There are two ends of the spectrum — you can get extremely depressed and dark and lose interest in the things you love to do, then you can get super manic. 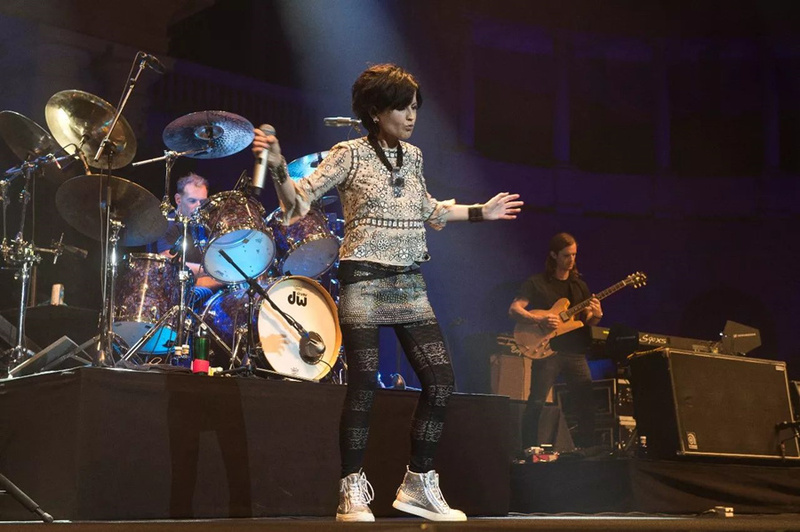 The Cranberries released an album in early 2017, but a US and European tour was cancelled in July due to health reasons concerning O'Riordan. In a statement, the band explained that she was suffering from an 'ongoing back problem' and that doctors had advised her to pull out of all her upcoming gigs. In February 2016 O'Riordan said she would use 'music, dancing and performing to improve her mental health' after avoiding a criminal conviction for assault at an airport. She was ordered to pay €6,000 to charity for headbutting, kicking and hitting on police officers following an alleged air rage incident. In an interview O'Riordan said that depression 'whatever the cause, is one of the worst things to go through', but that her family had given her happiness.